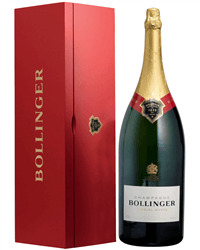 This is the largest format of the Pol Roger Brut Champagne and this is the one you would want. 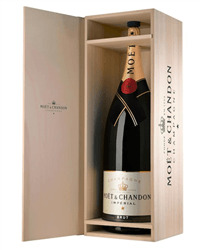 The Pol Roger Champagne Nebuchadnezzar is 15 litres which is the same as 20 regular bottles. Delivered in its own wooden box. 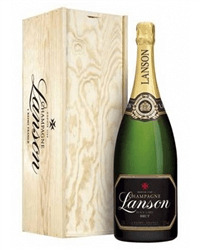 Send a Nebuchadnezzar of Champagne in its own branded wooden presentation box. 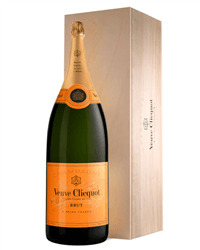 Choose from our range of Nebuchadnezzar of Champagne Gift - 15 Litre Bottle which pour 120 glasses of Lanson, Moet et Chandon, Pol Roger or Veuve Clicquot Champagnes. Order online or by phone and we will deliver direct to the address of your choice.